What a great way to spend time with your creative child.? All three of my children love to create and these books are designed for children to complete the project by themselves.? Some of the new releases from Quarto Knows’ creative books for children are Creative Adventures in Cursive, Art Lab for Kids: Express Yourself and Playful Learning Lab for Kids. Pen pop-up greeting cards from?Creative Adventures in Cursive. 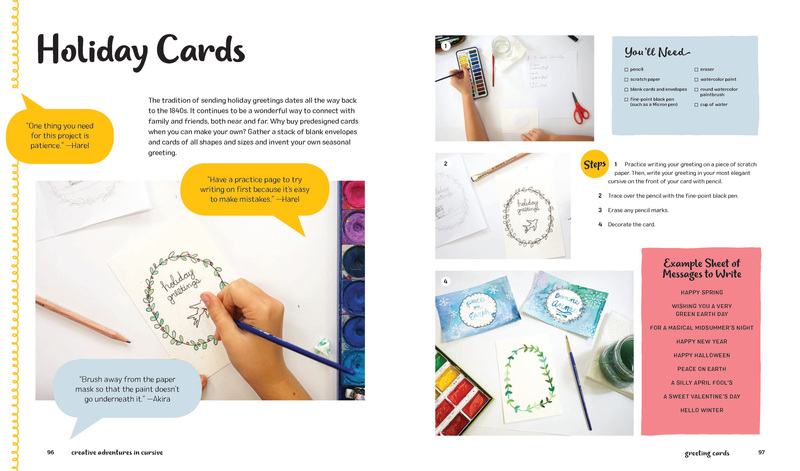 Author Rachelle Doorley, creative force behind the popular TinkerLab blog, uses cursive as the centerpiece for 22 unique penmanship projects in this book. Why buy pre-designed cards when you can invent your own season’s greetings? 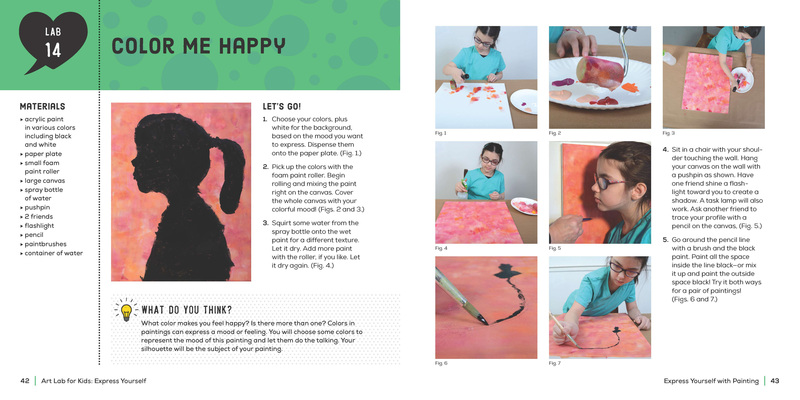 Paint silhouette portraits from?Art Lab for Kids: Express Yourself. Susan Schwake delivers 52 all-new projects designed to empower self-expression in this follow-up to her bestselling?Art Lab for Kids. Trace and paint classic silhouette portraits, then gift the portrait to loved ones. Or, create family silhouette portraits together after celebrating the holidays together! Personalize pendants from?Collage Workshop for Kids. The Eric Carle Museum of Picture Book Art collaborated with author Shannon Merenstein of Hatch Art Studio on this beautiful book with everything you need to?rip, snip, cut, and create. 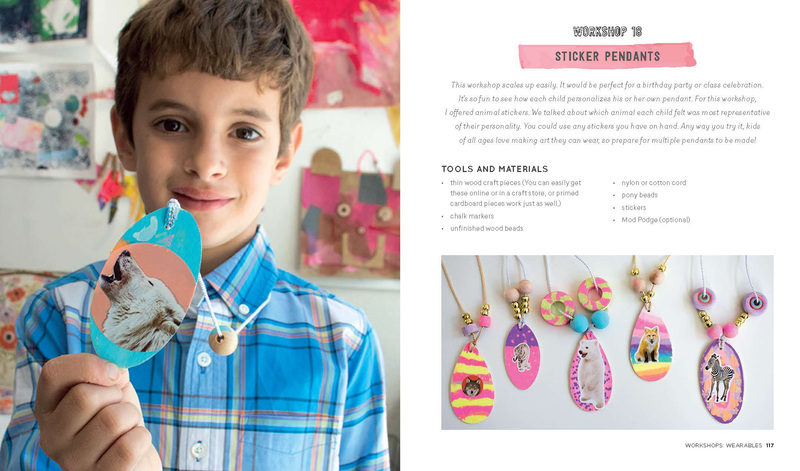 Kids of all ages love making art they can wear (and every grandparent loves showing off their grandkids’ art to their friends), so prepare for multiple pendants to be made! 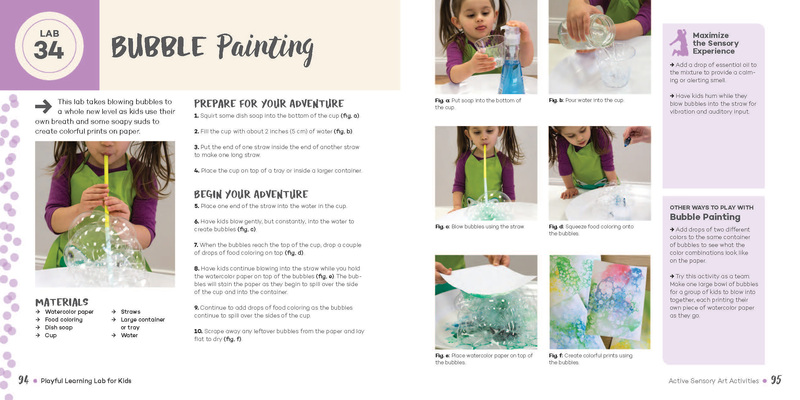 Blow bubbles into abstract paintings from?Playful Learning Lab for Kids. Authors Claire and Lauren are executive directors of The Treehouse Ohio, a non-profit organization provides free and low-cost play groups for kids to promote developmental skills, and?theinspiredtreehouse.com, an online community serving therapists, parents, and teachers. This lab takes blowing bubbles to a whole new level as kids use their own breath and some soapy suds to create colorful prints on paper, complete with added tips to maximize the sensory play experience. These books offer endless ways for your children to be creative, you can choose to be creative together or individually.